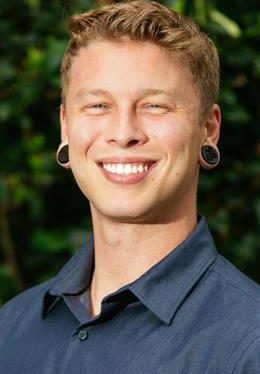 Nico Doorn M.Ed., LCDCI is the Director of Recovery Services for Alpha 180, America’s first sober fraternity, located in Austin, TX. Alpha 180 provides newly sober clients a platform to enter higher education in a supportive environment including residential, clinical, and social programming. Before relocating to Austin, Nico served as an Outreach Coordinator for Cumberland Heights Treatment Center in Nashville, TN. Simultaneously, he was completing a graduate degree in Human Development Studies at Vanderbilt University where he served as the graduate assistant for Vanderbilt Recovery Support. During his involvement, this Collegiate Recovery Program grew in its reach and offerings receiving local and national attention. Nico’s addiction treatment experience spans from young adult specific program formulation to ground-up recovery residence development and leadership. He spent the last 3 years serving on the board of the Tennessee Alliance of Recovery Residences, which furthers ethics, standards, and education within the sober living community. Throughout these experiences, Nico has balanced his career with a full-time course load as a college student while fathering a now 10 year-old-son. A recipient of a collegiate recovery program, Nico began his higher education journey with only a ninth-grade education. No longer a student, Nico enjoys spending his free time practicing yoga, trail running, bouldering and hanging out with his son and dog. No one plans to become addicted. But it happened to me. After struggling through years of failure, regret, and lost dreams, I found recovery. Entering college as a student in recovery, however, was another matter. Sobriety and college life simply do not go together. Little did I know, there are on-campus programs – “Collegiate Recovery Communities” – that bring together students like myself. Despite their success in terms of preventing relapse, increasing GPAs, retention, and graduation rates, few have heard of Collegiate Recovery Communities. Few have heard of them because we do not talk openly about the truth of addiction and the potential of finding recovery, even as a college student. Tens of thousands of students across our nation are practicing a recovery lifestyle and it is time we create a campus climate that accepts them through normalization and open dialogue. Acknowledging the problem of addiction is not enough, we must embrace the solution of Collegiate Recovery Communities and support the amazing students within them.